Your day starts as a typical 96 degree Wisconsin summer day, and all of a sudden your air conditioner goes out; to top it off you’re out of town and guests are on their way. Murphy's Law seems to have been written about Air Conditioners. 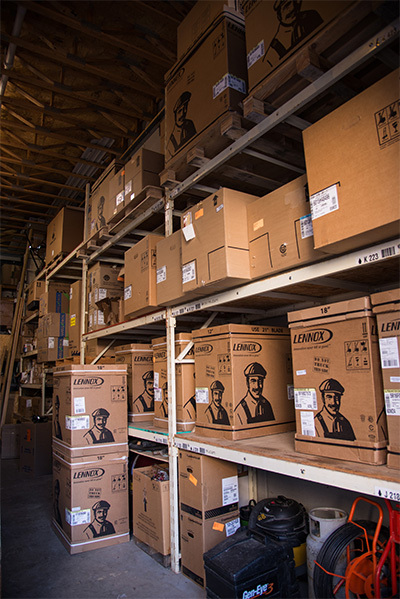 Here, at Schaffners, we keep a well-stocked inventory of AC units and if we would need to order one for you, we can usually get it next day. The same goes for parts. We have trucks arriving daily, because we know these things never happen at a convenient time. *Generally when an Air Conditioner goes out we can get our HVAC Specialist to your home the same day or next morning to get your cooling system up and running as soon as possible. We also service and install light commercial needs, along with construction. Our office is open Monday through Friday with a 24/7 Emergency line. Lennox offers extraordinary promotions when bundling AC and Furnace. Call us for a three point Good, Better or Best Estimate.